Every year, thousands of Maryland residents and visitors are involved in motor vehicle crashes. If you’re injured due to someone else’s careless or inattentive driving, you have options. You don’t have to face high medical bills, lost income, and financial hardship on your own. 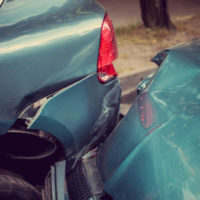 An experienced local auto accident lawyer in Columbia and Glen Burnie can help you make sense of your car wreck and get compensation for your injuries. About 39 percent of all traffic related crashes in the Maryland suburbs are due to pedestrian accidents. 16-year-olds make up the highest statistical likelihood of collision of all age groups. Inexperience and undeveloped judgment tend to be leading causes. Of course, Maryland crash data paints a sad picture for young drivers in our state. Between 2011 and 2015, there was an annual average of 52 people killed and more than 6,700 injuries involving teen drivers (16-20 years of age). In roughly the same time period, there were 306 drivers aged 16-20 who died, and there were roughly 33,000 injured. As Maryland’s Motor Vehicle Administration explains, this accounts for 31 teens and young drivers dying every single year and 3,300 who are seriously injured. The Maryland Department of Transportation reported that as of the most recent data recorded, there were 523 highway fatalities in 2016. This was a sharp increase from the prior year, when only 521 deaths were recorded. This mirrors national numbers, which show more than a 6 percent increase in highway fatalities. Every year, many of these deaths are attributed to alcohol or drug impairment. In fact, nationally about 1.9 percent of all drivers surveyed said they drank before driving within the past 30 days, while in Maryland that number is 2.1 percent. Since 2011, fatal crashes involving distractions have remained fairly steady, within only minimal decreases in total deaths. Between 2011 and 2015, as many as 48,550 crashes involved a distracted driver. In 2015 alone, there were at least 108 fatal crashes involving some form of distraction, typically cell phone use (e.g. texting, browsing, talking, etc.). Insurance laws can be complex. If you’ve been hurt or lost someone due to a negligent driver, you have rights. Don’t wait too long and lose the right to collect compensation for your injuries. With offices in Anne Arundel and Howard Counties, the Law Offices of Todd K. Mohink, P.A. can offer you options for recovering compensation and advise you of your rights. Contact us today for a free consultation.